A must-attend for anyone involved in the biomass industry, 2nd Biomass Trade & Power brings the world's biomass expertise together, to examine the issues impacting on business today and in the future. The 2011 programme is developed with the support of the industry's most prominent speakers and representatives. It's a programme designed by the industry, for the industry! This plant will have a production capacity of 60,000 tons per annum. "Excellent Networking and good content"
"Very relevant topics for a global purchase of Biomass"
"Good topics, useful networking, business chances"
"It was better than I thought!. "Perfect Occasions to get a holistic overview... and to meet people within all functions of the industry"
Among the key presentations at 2nd Biomass Rotterdam Trade & Power conference in Rotterdam is one by leading biomass company Enviva LP, touching specifically on the supply chain of wood pellets from US to Europe. 2 other papers to lookout for are from latest additions to the already authoritative panel from international supply markets - Ekman & Co AB will touch on supply growth and outlook from the Baltic and Scandinavian region, while Africa Renewable Ltd. will give an address on emerging biomass pellets exports from Africa. For more information on the full program, click here. Or contact Ms. Hafizah at hafizah@cmtsp.com.sg with any registration enquiries now. 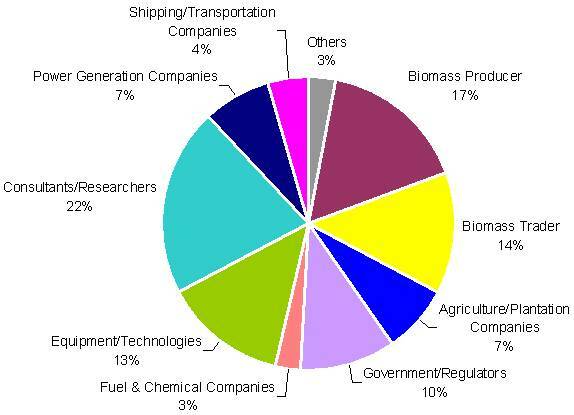 The authoritative line-up of speakers due at the 2ndBiomass Trade & Power (Rotterdam, 16-18 March 2011) has already attracted participation from many senior industry executives. The key attraction is clearly the exclusive Utilities’ Perspectives & Discussion Panel where Major biomass utilities will be on hand to share their experiences and insights on successfully executing large scale biomass co-firing. Issues to be explored during this interactive session include industrial wood pellets requirements and sourcing, latest technical standards and sustainability criteria, biomass trading & logistics, and commercial economics for biomass based power generation & CHP. RWE Supply & Trading Switzerland S.A.
Click here to view the full program agenda, or send your questions to Ms. Hafizah at hafizah@cmtsp.com.sg. North Carolina over the next 3 years, with possibility of additional plants in the near future. wood pellet supply contract with Electrabel, subsidiary of GDF SUEZ Group, one of the largest utilities in the world. Enviva LP is confirmed to share perspectives from the biomass supply markets at the 2nd Biomass Trade & Power held in Rotterdam on 16-18 March 2011. Click here to view full program agenda, or send enquiries to Hafizah at hafizah@cmtsp.com.sg. to be held in Rotterdam on 17-18 March 2011 CMT unveils an exclusive offer! Designed specifically for biomass producers, exporters, industrial utilities, procurement managers for industrial pellets, buyers, traders, shipping/logistics services providers and financial institutions, it serves as a valuable tool. Besides, this must-read paper will be a vital reference guide for presentations featured at the 2nd Biomass Trade & Power Summit. 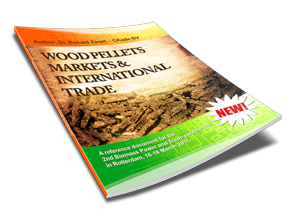 “Wood Pellets Markets and International Trade” white paper is now available to you as a complimentary download! Simply fill in the form below to download your complimentary copy now! By clicking submit you confirm that we have permission to send you our materials to the above email address. Registration & Enquiries - Please send any questions to Mimi at mimi@cmtsp.com.sg. The 1st Biomass Trade & Power Summit in Rotterdam on 11-12 March 2010 saw key biomass stakeholders from more than 30 different countries convening over two days of intensive sessions. Building on that success, the event returns to Rotterdam for the 2nd Biomass Trade & Power Summit! And this time, we are extending the event over 3 days from the 16 to 18 March 2011 to incorporate a not-to-missed site visit. Exact details to be released soon. If you are keen to register, or to explore sponsorship and media exchange opportunities, you are invited to contact Ms. Mimi at mimi@cmtsp.com.sg.